Back pain, neck pain and headaches: these three common pain conditions affect millions of Canadians every day, draining our energy and ability to function at normal levels. Sometimes pain may be the result of chronic underlying medical conditions, and requires a health professional’s care. But in many cases, you can help manage energy-draining pain by taking a few simple steps in your daily life. If you could do just one thing to reduce the aches you may experience daily, it would be to improve your posture both when standing and seated. Strengthening your core muscles will help support your spine and minimize the physical stresses and strains that create back, neck and shoulder pain. Many of us get less than seven hours of sleep each weeknight, but sleep provides vital rejuvenation for sore muscles and joints. If you are not getting enough restful sleep, look at two things: your mattress and your sleep position. A good mattress supports the natural contours of the body, letting your muscles and joints fully relax. Sleep on your back or side. If you sleep on your side, put a pillow between your knees. If you’re on your back, place it under your knees. Better sleep positioning with the help of pillow support can ease pain by easing pressure on your spine. Exercise can help ease many types of pain, from arthritis to low back pain. A pain-reduction exercise program should include both flexibility and strength training. The stronger and more flexible you are, the better your body can distribute the physical forces of movement and prevent painful imbalances. And of course, exercising regularly may help you reduce body weight, which can significantly decrease pain – particularly in the joints of your hip, knee, and ankle, and in your lower back. Stress and pain are often closely linked. Each one can have an impact on the other, creating a vicious cycle that sets the stage for chronic pain and chronic stress. Managing stress can lead to pain relief. 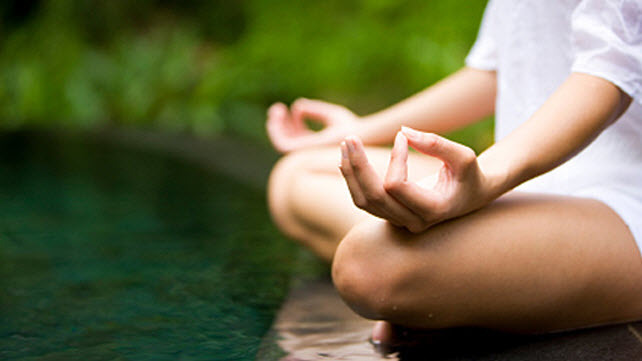 Relaxation techniques such as deep breathing, yoga, guided imagery and meditation can teach your body to relax and decrease stress levels. These tips may not completely eliminate pain from your life — but try them for a few weeks, and you’ll likely feel less discomfort. Recurrent pain can affect your quality of life, but learning how to cope with it can help you manage its harmful impact. A chiropractor can diagnose the causes of your pain and develop a treatment plan to reduce your “pain drain” and get you moving again.